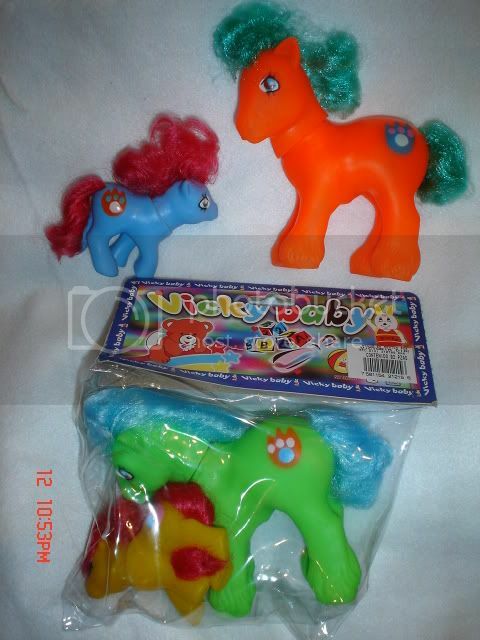 I remember that karina on her Mexican Pony Paradise site mentioned a fakie big brother that was released here in Mexico, and well, it seems that it has appeared again. 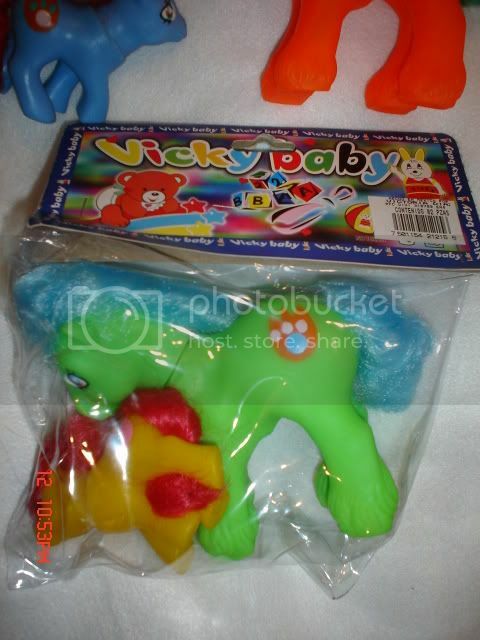 This toys are made in Mexico, hasbro doesn't appear anywhere on the package, the company that it's making them is called "Vicky Baby". 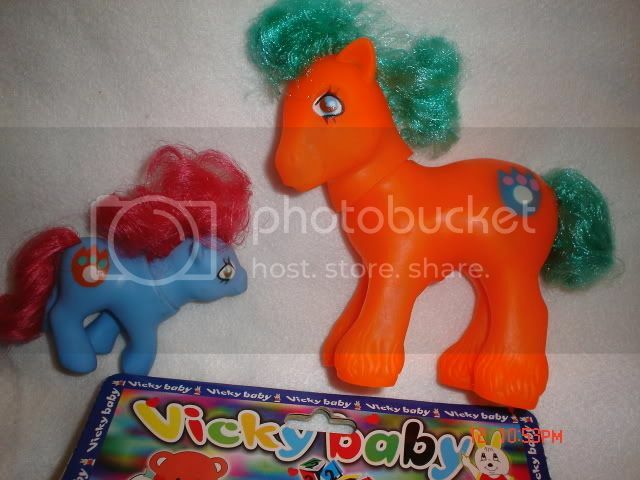 They are made with vinyl, they're really soft compared to the original ponies, the hair is really weird and the tail is made with lots of plugs, not like the original ponies with only one tail plug hole. Wow congrats on your find!! That's a really neat fakie hehehe now I want a BB fakie!! I think they'd be good custom bait too! Sweet find!! Way to go!! Commissions are currently closed. 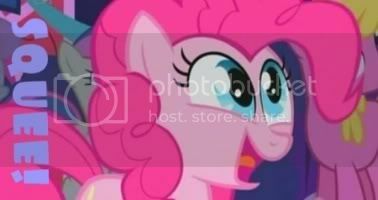 [/url]~*~My DeviantArt!~*~Want List ~*~My MLP Guides on eBay! *gasp* OMG!!!! I've never seen those BB fakies before !!! Where did you get him??? He's a perfect custom bait!!! Oh and I've never seen those baby fakies before either!! You've got to do a post about them on the Corral!!! Location: Oklahoma city, Oklahoma!! my home of 1,324 ponies! wow! i think those knock offs are better looking that princess rinse n spit! congrats on them they're actually kinda cool! Thank you WingsOfMasquerade for my Sig!! congrats on your find. Wow there bodies looks just like Hasbro ponys !!! You might want to check to see if some people want some of the BB fakies. I've seen them fetch high prices sometimes. I remember someone selling one for $60 ish. Wow those are really neat congrats on getting them. Let us know how they work out for customs. Wow Dina those are awesome fakie finds, congrats, and you proably could do some trading north of the boarder with those boys. Do the necks sit well, they look a little out of wack in the pictures. How bizarre! But awesome at the same time. I've never seen the boy fakies before.